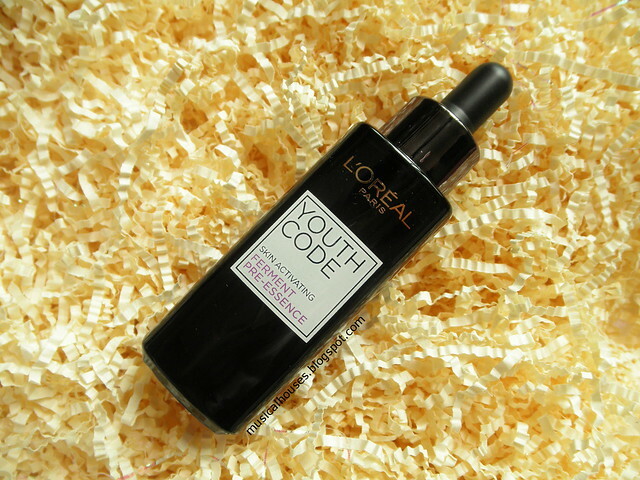 The L'Oreal Youth Code Skin Activating Ferment Pre-Essence just launched earlier this month, and already it's making quite a splash here. 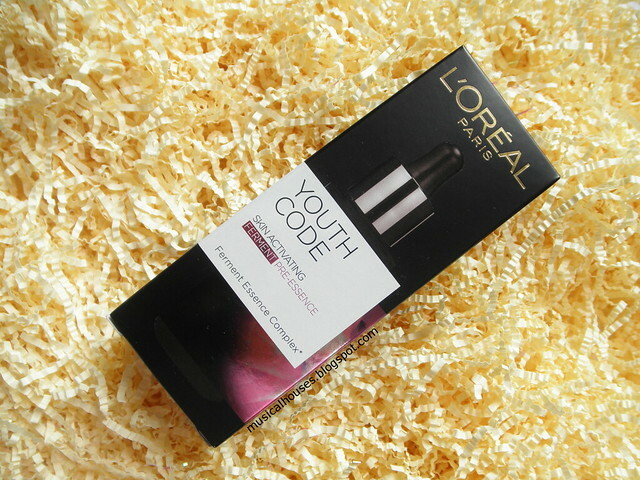 Firstly, this is supposed to be an upgrade of the original L'Oreal Youth Code, which was already a pretty popular product in its own right. But beyond just "sequel syndrome", the marketing is pretty eye-catching, too. The product claims to have "98% Ferment Essence (extracted at 98% purity) to stimulate skin metabolism and accelerate cell renewal". So the Ferment Essence is really a huge draw here, too. 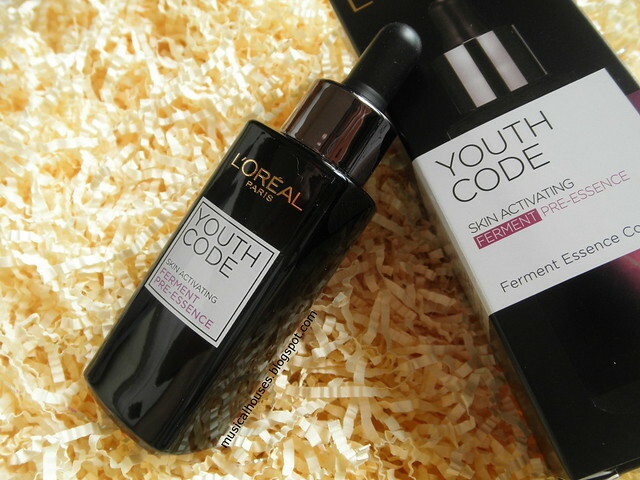 For those with some familiarity with the original L'Oreal Youth Code (as well as a similar product from L'Oreal's sister brand, Lancome's Genifique Youth Activator), you might recall that the "ferment essence" used in those products was Bifida Ferment Lysate. 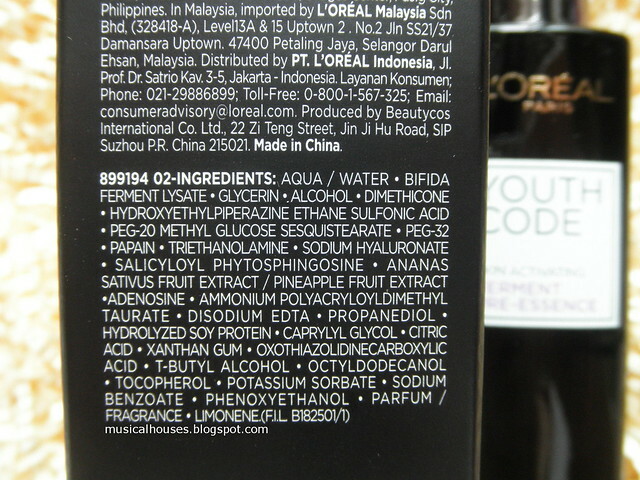 And indeed, it seems that L'Oreal has increased the concentration of Bifida Ferment Lysate in the updated Youth Code. Beyond the increased use of Bifida Ferment Lysate, L'Oreal also claims that the Pre-Essence will "boost skin recovery ability against fatigue and aging signs". That sounds pretty cool, but how does the Pre-Essence work? What ingredients are in there to help in skin renewal, or in anti-aging? And how different is the new product from its old formulation? Well, we'll find out! The key ingredients are water, followed by Bifida Ferment Lysate - this is the advertised "ferment essence". After that we have some humectants (Glycerin, Sodium Hyaluronate), Alcohol (here probably a penetrating ingredient), emollients (Dimethicone, PEG 20 Methyl Glucose Sesquistearate), an exfoliant (Hydroxyethylpiperazineethane Sulfonic Acid, or HEPES, which I've talked quite a lot about in another HEPES-containing product review here), emulsifiers (PEG 32), two enzymes derived from fruits (Papain, Pineapple Fruit Extract), a pH adjuster (Triethanolamine), a couple of interesting anti-aging ingredients (Salicyloyl Phytosphingosine, Adenosine), a thickener (Ammonium Polyacryloyldimethyl Taurate). After this, we reach Disodium EDTA, a chelating agent used here for its preservative function, so essentially we've reached the first preservative, and we know that we've covered the key ingredients in the formula. Looking at these key ingredients, there are a few things that jump out at me, some good, some bad. Let's start with the good then. Firstly, it's good seeing the Bifida Ferment Lysate as the second ingredient on the list, because this means that as advertised, the ferment essence is there in significant quantities. For those interested in the science behind Bifida Ferment Lysate, I've actually touched on this in my Lancome Genefique review from way back in 2013, but the gist of it is that it can improve skin's barrier function and hydration. Also a plus is the presence of HEPES, which is an exfoliating ingredient that L'Oreal has used in some of its other ingredients. I've gone into a lot of detail on HEPES in my Kiehl's Nightly Refining Micro-Peel, where HEPES is a key ingredient. L'Oreal filed a patent in 2003 for the use of HEPES, among other ingredients, for skin exfoliation. HEPES is mostly used as a buffering agent, so its use as an exfoliating agent is pretty novel. The benefit L'Oreal hopes to get is that HEPES is a milder, gentler exfoliating agent that can be used everyday, in contrast to other harsher exfoliants. Lastly, of particular interest in the "good" category is Salicyloyl Phytosphingosine. Salicyloyl Phytosphingosine is a pretty interesting and fairly novel ingredient, as I don't think I often see it used in skincare formulations (other than the original Youth Code, which also has it, I've come across some other products in the L'Oreal group with this ingredient). It was marketed in 2006/2007 by marketed in 2006/2007 by Evonik Degussa, a specialty chemicals company that supplies ingredients for the personal care and other industries. The company published a paper Salicyloyl Phytosphingosine demonstrated "clear reductions in wrinkle depth and Rz (skin smoothness) together with Ra (skin roughness) were observed (P < 0.05), indicating an anti-wrinkle benefit". Interestingly enough, the study also looked at Salicyloyl Phytosphingosine in fairly low amounts (0.05% and 0.2%, as well as in an oil-in-water emulsion in an unspecified concentration), and it seems as though Salicyloyl Phytosphingosine was effective at those low doses, too. So although normally I would kind of discount an ingredient's benefits when it is so far down the ingredients list because it is often likely to be in too small amounts to be meaningful to the skin, in this case it's entirely possible that the amount of Salicyloyl Phytosphingosine in this product is still viable. Now that we've covered the good things, let's move on to the bad, and there are a couple of them. One is the presence of Alcohol as the 4th ingredient. It's probably there as a solvent or a penetration enhancer, but since it's fairly high up the ingredients list, and since there aren't many other emollients, waxes or oils in this formula to counter the drying effect of alcohol, it is quite possible that the Pre-Essence would be too drying for some dry or sensitive skin types. If that sounds like you, it might be a good idea to patch test, or layer this under a more emollient or occlusive skincare product (lotion/essence/moisturizer etc.). Another thing that's not so much "bad" as it is "mixed", is the inclusion of Papain (an enzyme derived from papayas). Papain was probably meant to provide an exfoliating function from the enzymes in the fruits. However, there is some indication that these ingredients can also be allergenic. There is some indication that papain can induce a breakdown of cell-cell "tight junctions", and thus "affects the skin barrier by increasing transepidermal water loss". I can see how this might potentially be of use in a product as a penetration enhancer or an exfoliant, but if you're allergic to the enzyme (or papayas), it may be a good idea to patch test before using this. I have to admit though, I'm not normally a huge fan of enzymes in skincare, because enzymes are very volatile ingredients that can get denatured by all sorts of things - a change in pH, or temperature, or exposure to light - so I'm always a little skeptical as to how viable the enzyme is by the time I buy a bottle and open the product. But in this case, HEPES is the main exfoliant, and the fruit enzymes are just a nice add-on, so I'm not too concerned. Now that we've looked at the formulation and the ingredients, how does the Skin Activating Pre-Essence actually look and feel like on the skin? The Pre-Essence feels sort of like a light lotion, with a very lightweight, watery texture that absorbs fast, which is what I expected looking at how lightweight the ingredients were. It also doesn't leave any residue or stickiness on skin, owing to the use of humectants and the fact that the formulation isn't very emollient. I found that this was best used, as the name "pre-essence" suggests, after my cleanser (and toner, if you use that), but before the other heavier skincare products with gel or cream textures. I also found that by itself, it doesn't really protect your skin from the elements, so if you live in a cold or dry climate, or just have dry skin, you might want to follow this up with a heavier product, like some sort of lotion, serum, essence, or moisturizer. Over time, I did feel like this helped to hydrate my skin, and it seemed to improve the overall condition of my skin and made it slightly smoother, although I don't really have any super-deep wrinkles. 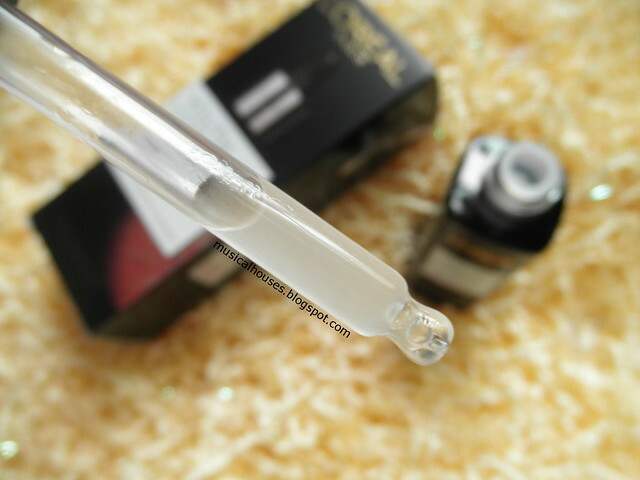 As a bonus, I really like the dropper bottle it comes in - it's appropriate for the watery texture of the pre-essence, and it's also a fairly hygienic way of packaging the product. So, would I recommend the L'Oreal Skin Activating Ferment Pre-Essence? For the most part, yes. I think it is actually a pretty interesting skincare product - it has ingredients that help to hydrate the skin (Bifida Ferment Lysate, the humectants and emollients), as well as ingredients to exfoliate the skin (HEPES, the fruit enzymes), as well as a pretty novel anti-wrinkle ingredient (Salicyloyl Phytosphingosine). And this particular combination of bacteria-derived, fruit-derived, and novel ingredients isn't something I come across too often in drugstore skincare products, so I guess that's a plus. The formula is also very similar to the original Youth Code, and a quick comparison with original ingredients list shows that the first 7 ingredients are the same. So, if you tried and liked the original Youth Code, you'll probably like this, too. Of course, on the other hand, if your skin is dry or can't tolerate the alcohol content, or the fruit enzymes, then this product may not be such a great choice. And needless to say, if you hated the original Youth Code, I doubt this will do that much to change your mind. At S$41.90, it's a pretty decently-priced product, too - it might be a bit more expensive than a typical drugstore product, but still very affordable, given the formulation. So if you're looking for a good first step post-cleanser, and if you have oily skin that's dull or starting to age, this could be worth looking at. 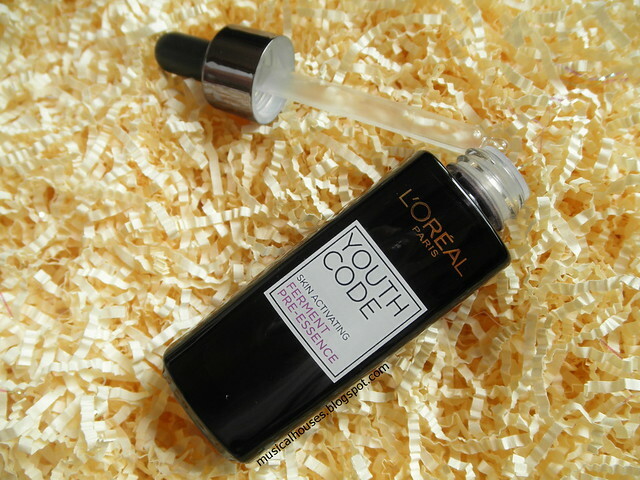 The Bottom Line: The L'Oreal Youth Code Skin Activating Ferment Pre-Essence has a fairly interesting formulation incorporating bacteria-derived ingredients and exfoliants, to give a lightweight lotion with anti-aging properties. It does contain alcohol however, and so dry skins might not like it. Sounds really nice, but the high levels of alcohol do worry me. I wish they hadn't done that! I would love to try this but my skin wouldn't love the addition of alcohol in it. 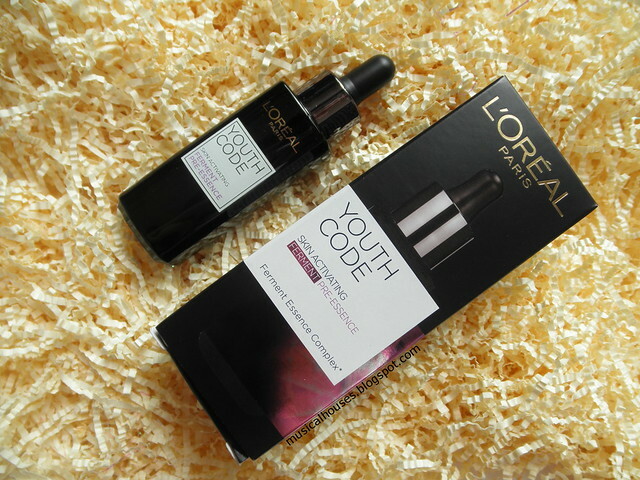 I have been using and loving many skincare products from Loreal and Youth Code Serum is one of my favourites. @Yiota: Haha yeah, I can't say I'm that much a fan of alcohol. If you did like the original Youth Code though, you'll probably like this. The original Youth Code also had alcohol (and I'm guessing in a similar amount), so if it didn't bother you in the original version, hopefully it won't in the new one! Love this!! Thank you for all of your hard work and research. You're a saint. By the way, the packaging looks like a small, indie brand rather than what I would expect from Loreal? Weird, but I like it. It's role reversal at its finest IMO. @Unknown: Haha good point about the packaging! I've never paid much attention to packaging (unless it affects the functionality of the product) so I've never noticed that! I think the style here is more "drugstore luxe" maybe? Was debating getting this for my PIH but I think I'll stick to the COSRX Galactomyces which I have seen good results with.Why'd they call their patented ingredient HEPES tho? Lmao. "I'm looking for something with hepes for my face"